A chain-embellished strap elevates the day-to-night versatility of this picture-perfect camera bag by No. 21. 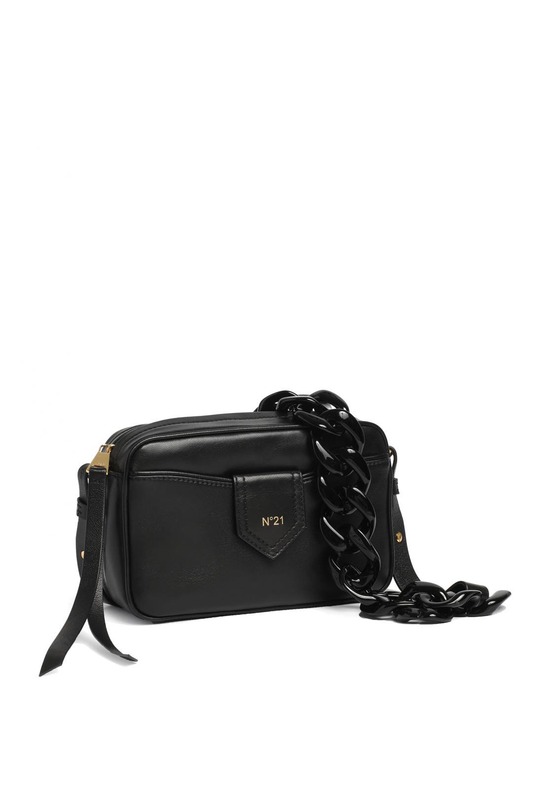 Black leather camera bag with chain embellished shoulder strap. Gold tone stamp logo. Top zipper closure and front slide pocket. 6"H x 8"W x 3"D.